The Rockport Film Review: Peter Dinklage Shines in the "Station Agent"
One of the great independent films of 2003 and one of my personal favorites, "The Station Agent" introduces us to the exceptionally talented Peter Dinklage. Although upon first impression most people will only notice his 4 foot 5 inch frame, his deeply brooding and thoughtful performances rival any actor working today. Finbar McBride, or Fin, is a solitary man who works at a hobby shop repairing and working with model trains. One day his friend and the store's owner Henry falls over dead, presumably of a heart attack. Fin is lost in despair, Henry, however, has left him a small but abandoned depot station to him in his will. With nothing tying him down Fin moves into to the Newfoundland depot station. Just across the way is an oddly placed food truck called Gorgeous Franks and its lone operator Joe, played by Bobby Cannavale. Joe is a friendly and energetic man who's intrigued by Fin arrival. Although not looking to make friends Fin eventually comes around and allows him to hang around with him. 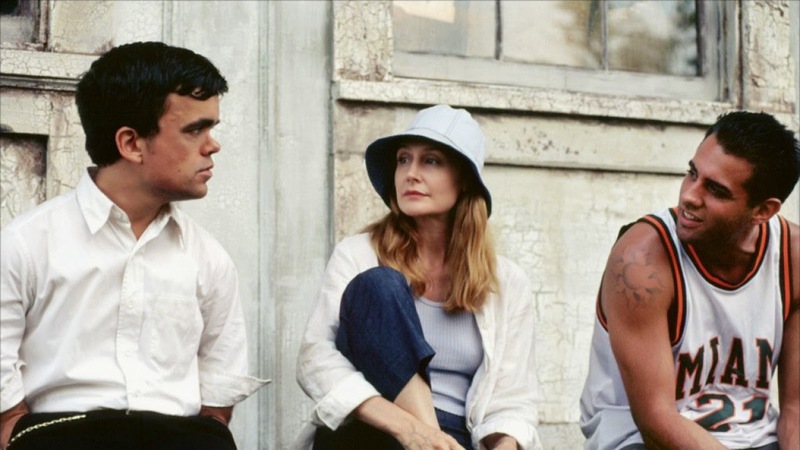 Also upon arrival Fin has a few run-ins with Olivia, played by Patricia Clarkson. She doesn't make that good a first or second impression for that matter as she almost runs him over with her car, twice. Olivia is a friendly but slightly frantic, painter who is separated from her rich husband, Joe, however, has had his eye on her for quite some time. Writer and director Tom McCarthy creates this world for these characters that are based in small-town reality. Fin has a number of encounters with a curious little African American girl as well as a possible girlfriend in the form of the young and beautiful librarian, played by Michelle Williams. Although the heart of the story is the relationship between the three friends Fin, Joe, and Olivia. All are damaged in their own way and looking for something real. Finn fights with loneliness and alienation, while the return of Olivia's husband throws her life into an angry spiral. Joe is full of life and charisma but misses his son, who lives with his mother. "The Station Agent" is a wonderful film, skillfully acted on all fronts with a deeply heartfelt story of a marginalized man trying to find his place in the world. 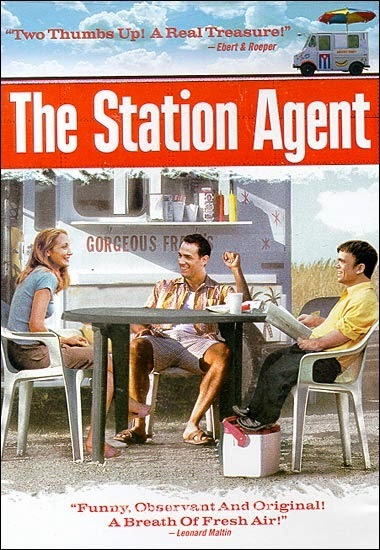 Although a lot of people now know Peter Dinklage as Tyrion Lannister on "Game of Thrones", please take a moment to watch "The Station Agent".